The recession driving more and more parents back to work has turned many of us into Granny Nannies as we try to help keep the costs of childcare down. Families are finding it tougher to survive on a single income with children, so the second parent, returning to work, is being forced to turn to their own parents for help. It is thought that almost 6 million British grandparents are now regularly looking after their children’s children – with 97 percent of that figure taking no wage for the service. Obviously, as grandparents we give freely of our time and attention. It’s what we do best. Spoiling grandchildren is the prerogative of anyone who’s ever raised a child of their own. But raising children again? Some say they find their relationship with their grandchildren changes as they are forced to take a more active role in discipline and childrearing, rather than fulfilling what was (for our family anyway) the more traditional role of spoiling, playing games and giving out sneaky sweets when Mum and Dad aren’t looking. There’s a correlation between the age of the child and the proportion of grandparents giving childcare services, according to a report published at the beginning of this month by RIAS, an over-50s insurance broker. The figures, according to the report, show that 60 percent of primary school children are looked after regularly by their grandparents; while 82 percent of secondary school agers have grandparent childcare. This compares to a figure of 50 percent at preschool age. In some sense at least, then, there’s still a correlation between parents going back to work as they would normally have done once children go on to school, and the amount of childcare required – it is just that now childcare is being done for free by grandparents rather than done for money by professionals. The survey estimates that the average family may be saving nearly £2,000 per year on childcare by utilising the services of the grandparent. In many cases, the survey suggests, employed parents have to work longer hours or even find a second job to maintain the home and family through the recession. With fuel costs rising and many workers facing the second or third year of a pay freeze, every penny counts. Grandparents who have secured their own finances seem willing and able to lend their support to the family unit – a heart-warming practice in these times of austerity and unrest. 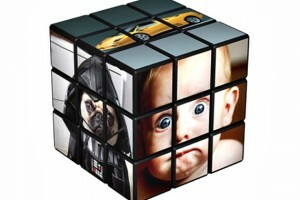 But some grandparents, of course, are feeling the recessionary bite just as deeply as others – and here the survey finds that employed baby boomers have to give up their own jobs to provide childcare for their children’s children. Net Mums, which aims to provide information and advice for new mothers, is equally helpful for grandparents thrown back into the game! Nursery World is looking for advice on how to make childcare better and more affordable. 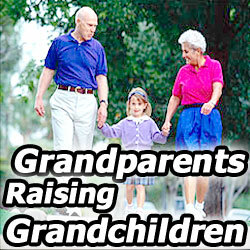 As second time arounders, granny nannies might be just what the doctor ordered! Ask Granny, the online site for older surfers, has plenty of articles and advice too. 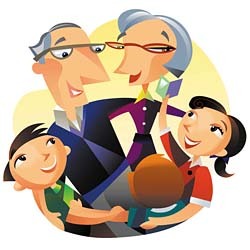 ← Next Sunday (Sept 9th) is Grandparents Day in the United States.